Tough Abec 5 Skateboard bearings split down into a scooter sized pack so you don't need to buy a whole pack. 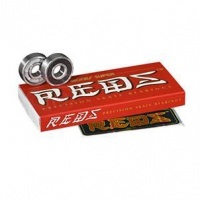 Tough Abec 7 graded Skateboard bearings split down into a scooter sized pack so you don't need to buy a whole pack. 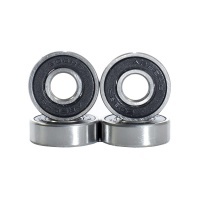 Tough Abec 9 grade Skateboard bearings with black shields split down into a scooter sized pack so you don't need to buy a whole pack. 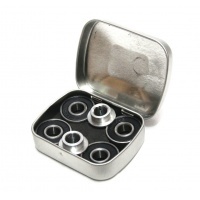 Blunt Abec9 Scooter Bearings are great quality come in a pack of 4 with spacers in a nice tin. 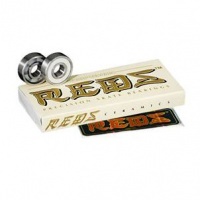 Get moving faster with some fresh bearings! 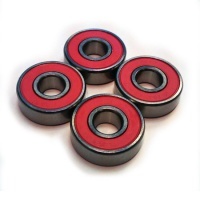 The Ceramic Bones Super Reds are a top level ceramic bearing. This is a half pack rather than a full pack so you don't have to spend the price of the full pack when you only need 4 for a scooter. 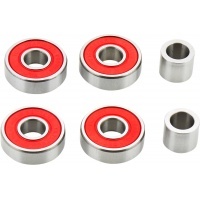 The Classic Bones Reds bearings but in a 4 pack ideal for scooters rather than having to buy a full pack of bearings when you only need four bearings. The Perfect Lube for your bearings. Bones Speed Cream is a light bearing oil to keep your bearings running sweet. Comes in an easy to use squeezey bottle. 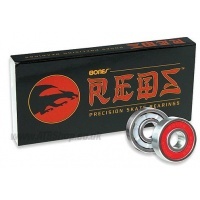 Bones Super Reds are super fast accurate bearings and now available in a scooter sized pack so you don't have to buy the whole skate pack when you only need 4 bearings. 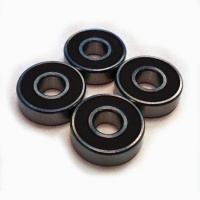 Tough and reliable bearings, the NMB bearings have been in skateboarding for more years than we can remember! 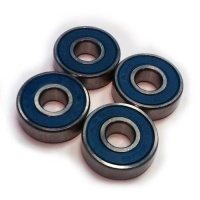 Super tough and durable steel shielded bearings in a pack of 4. Tilt introduces the Better Bearings set for Stunt scooters. 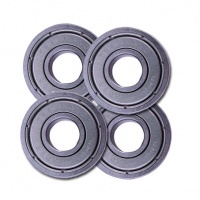 A set of 4 bearings that will end the ongoing ABEC mumbo jumbo.